181 Dec 27/12 I didn't seem to give away much snow with my last photo, so I thought I'd try it again. 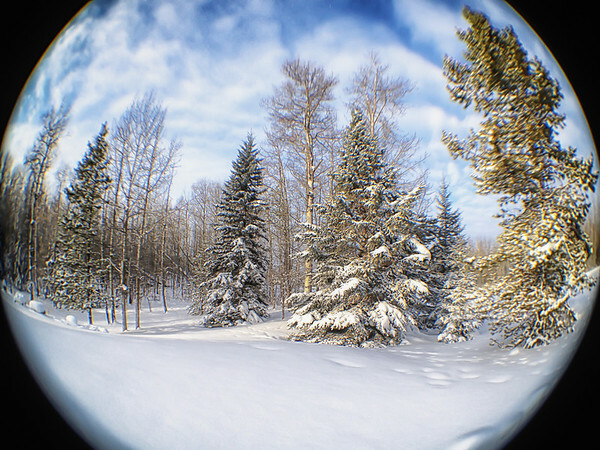 Same snow, same trees but this time with the iPhone and the fisheye Olloclip, a Christmas gift from my daughter. Lovely winter scene like a Christmas ball! this would make a great ornament for your tree! Very cool, looks like a fancy snow globe! It's like it's own perfect little world or snow globe!